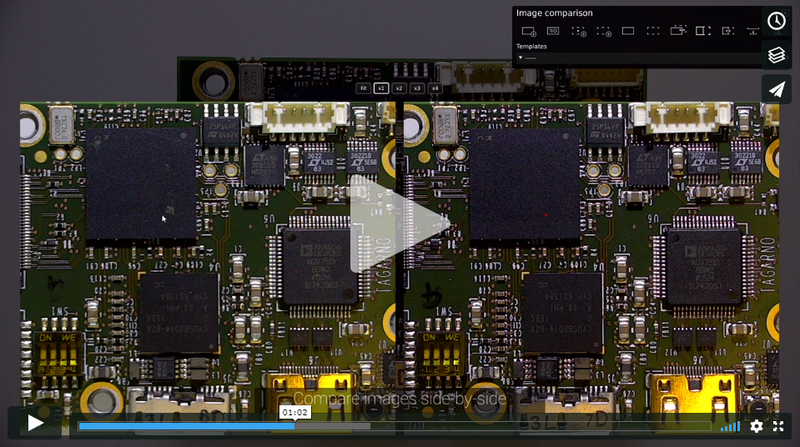 /ins The new Image comparison app enables you to easily compare reference images of PCBs to live or captured sample images of boards. TAGARNO has developed a new app for their digital microscopes, which enables you to capture an image of a golden sample to match next to a live screen image of a circuit board or captured sample image. Use the app to perform first-rate quality control of circuit boards after component placement or reflow. 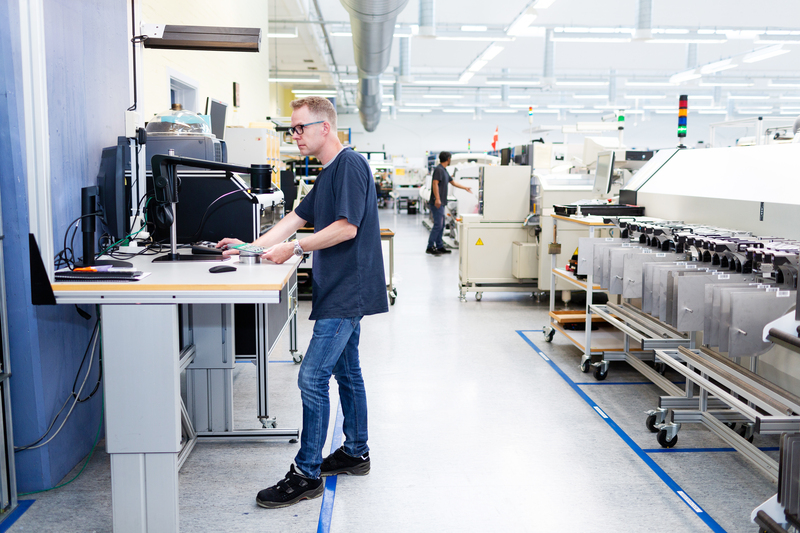 By comparing PCB samples to a reference image of a golden sample in various ways, the application enables the operator to achieve a high quality in production and efficiently catch mistakes and misplaced components in time. A mouse and keyboard connected directly to the microscope is enough to control a variety of features displayed on a monitor. Since it is crucial to detect differences and faults in products and production, getting the reference and sample images displayed next to each other will easily show any errors to the sample and thereby allow you to quickly make the necessary adjustments. Also panning and zooming in on the reference and sample images makes it possible to take a closer look at your sample or get the full overview of the results. Toggling between viewing the reference image and the sample image on the screen with a 1 second interval will allow a quick comparison of the two boards, revealing any mismatch and deviation for the sample in question. 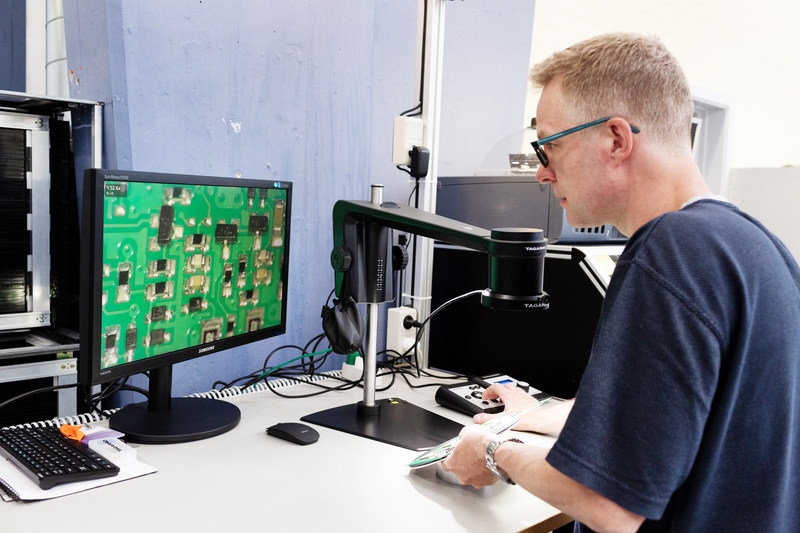 TAGARNOs digital microscopes are used for visual inspection of printed circuit boards. Using high-definition cameras and user-friendly software interfaces, the digital microscopes magnifies and analyzes board samples in excellent image quality.